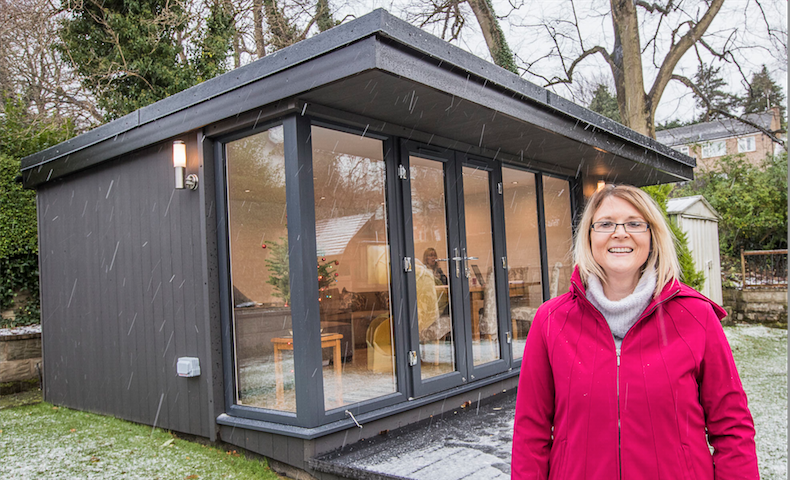 A business entrepreneur has built a Garden Office in Birkenhead, Wirral and is aiming to expand her company after swapping working in noisy cafes for her own home based meeting room and office. Catherine Williams founded Popcats Music Time singing and dancing classes for pre-school children, and is now rolling out franchises around north west England, with plans to open next year in Liverpool. She initially ran the business from her Wirral home, and held meetings in cafes and other public venues but soon became frustrated by the lack of privacy and space. So Catherine decided to create an Garden Office and meeting room in the garden of the home she shares with husband Jon and their three children. Thanks to Deeside-based Rubicon Garden Rooms, the 41-year-old can now sit down with clients and franchisees in a “professional” office space rather than having to travel to meet them at busy coffee shops. Popcats Music Time, which provides classes and parties for babies through to five-year-olds, has gone from strength to strength since Catherine founded the company in September 2014. She now has franchises running across Wirral, Ellesmere Port, Southport and Crosby and is planning to take her concept into Liverpool. Rubicon Garden Rooms, which creates bespoke top-of-the-range units across the Wirral and the UK used for everything from Garden Offices to Hobby dens, teenage chill-spaces and Annexes for dependent relatives, was able to provide her with exactly what she needed. Catherine, who was a primary school teacher for 15 years, said: “My husband Jon and I wanted an outdoor space that wasn’t a summer house or just a shed, so that’s why we approached Rubicon. “What we’ve got is something that aesthetically looks solid and is maintenance free, plus its warm and comfortable throughout the year. “It’s really pleasing to see it outside. We went for the black wood fibre composite option as we think it has a more classic look that matches the style of our house. “My business is growing now and I have a lot of franchises so having meetings in public places is not ideal. You also never know who is in hearing distance, especially when you are discussing financial matters. “The big thing for me was to have privacy. It’s brilliant - I don’t have to travel and I can walk out of my back door and be in my office whenever I need to. She added: “I’m looking to get the Liverpool franchise up and running, that’s the next phase, so having meetings in an office environment, somewhere that is a professional space, is so important. Catherine, who has three daughters, was keen to get away from the stresses of a school environment and always believed the idea behind her classes would appeal to a large number of parents, although it didn’t all quite go to plan from the offset. She explained: “I was doing supply teaching when I set up Popcats. I’ve always loved music and having had three children knew what I wanted to create as both a parent and teacher. “I knew that by making the classes pay as you go, it would have appeal. I never took my children to classes where it was pay up front because you don’t always have the money or your child can fall ill and it’s wasted money. “Now I’m in a position where I can take up to 50 in a class. There is a big social side to the job as well, with us all sitting together afterwards for a coffee and some fruit. Catherine, who taught at St Anne’s Catholic Primary School in Rock Ferry for 12 years, added: “Setting up Popcats means I’m still teaching but without the stress of Ofsted. “It’s a hard line of work and I’m so glad to be doing this now. Those that take on the franchises are former teachers too and it means they can earn what they did and it’s a lot of fun. “I’ve built up a really good reputation so it means they are buying into a well known brand. 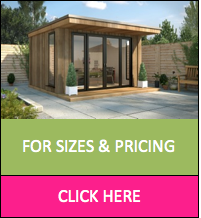 Rubicon provide fully insulated, zero-maintenance and aesthetic appealing Garden Rooms and Garden Offices. The company has just been accredited for its commitment to customer service, under the Buy With Confidence scheme run by local authority Trading Standards teams. John said: “As a business person myself, I quite understand that Catherine really needed privacy when conducting her meetings. Talking to potential investors about business matters in a coffee shop isn’t ideal - a home office with space for meeting is the perfect solution. “She was seeking a professional looking office space, with room to run her company, that was low maintenance and value for money, which is exactly what we are able to provide.